Spatial optical solitons have already been successfully launched in a pure nematic or in a dye-doped nematic, exploiting either the orientational or thermal nonlinearity of the liquid-crystal materials. 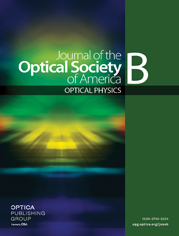 The self-induced index gradient that yields to self-collimation of the beam is a diffusion-type process. In the case of reorientational nonlinearity, it is correlated to the elastic property of the liquid crystal bounded by its container. We show that launching a spatial soliton is possible in more frustrated systems, such as a polymer-stabilized nematic, despite the loss of mobility of the liquid-crystal molecules embedded in a light polymer network. It is shown not only that the soliton is obtained for input powers similar to and even lower than those in the pure nematic, but that it is more stable. Moreover, it has been possible to partially freeze an index gradient during the polymerization process and to launch a soliton without any extra bias. Thermo-nematicon: an unnatural coexistence of solitons in liquid crystals?